Top Rated Local® is pleased to announce that Suk Law Firm is a 2019 award winner for attorneys and law firms in Minnesota! If you find yourself in need of a personal injury attorney in Rochester, look no further than Suk Law Firm. Suk Law Firm has received dozens of reviews on four verified sites with an average rating of 4.97 stars, earning them an incredible Rating Score™ of 97.67 and a 2019 Top Rated Local award for ranking among the top 10 attorneys and law firms in all of Minnesota! “I suffered serious injuries in two consecutive car accidents, which required me to spend months in the hospital/rehab facility and in-home care…From the beginning, Suk Law Firm took care of everything involving the insurance companies, Mayo Clinic and other medical companies I was working with. They made sure that I received all forms of compensation along the way and worked hard to reduce my medical bills and get me the largest settlement possible. I would recommend Suk Law Firm to anyone injured in an accident. 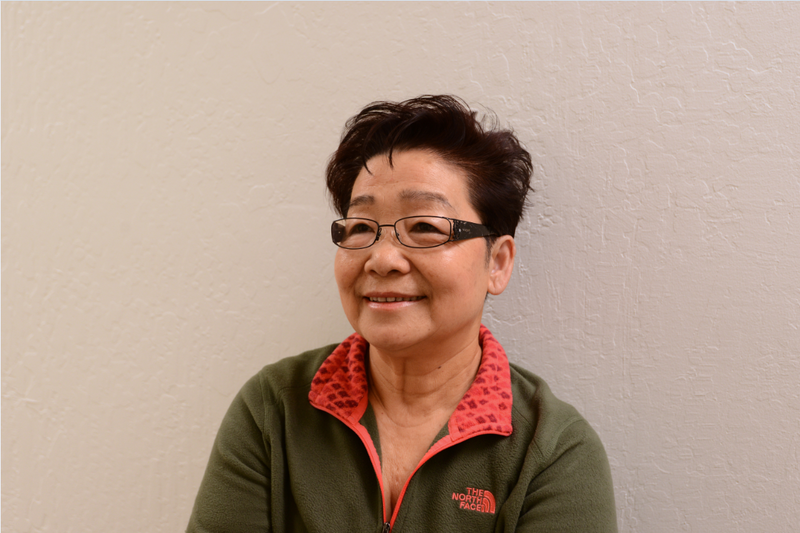 You will not find a more caring, knowledgeable and hardworking group of people.” – K.S. We wanted to learn a little more about this award-winning business and its impressive online reputation, so we took a few minutes to talk with Valerie McCarty, the Marketing Coordinator at Suk Law Firm. Outside of building a powerful online reputation, Suk Law Firm has gotten their name out there through television ads, social media and blogs. 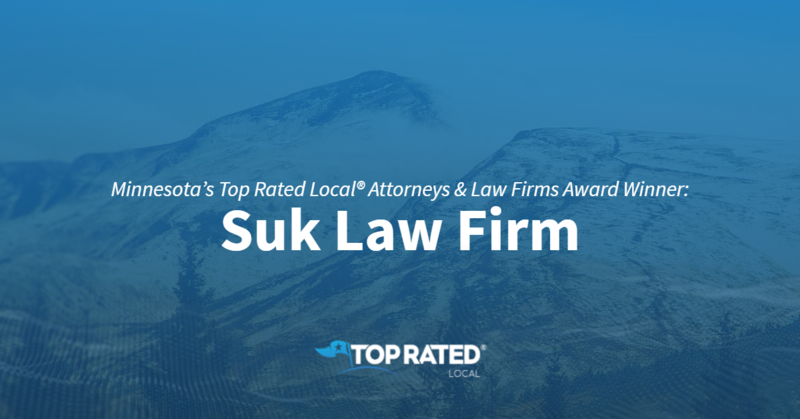 Congratulations to the team at Suk Law Firm for being a 2019 Top Rated Local award winner, and thank you so much, Valerie, for taking the time to speak with us! If you’ve been injured and you’re looking for the right representation, we highly recommend Suk Law Firm. Visit them online today! Top Rated Local® is pleased to announce that Hamo Law Firm is a 2019 award winner for Attorneys & Law Firms in Michigan. For all of your legal counsel needs, we highly recommend visiting the website of Hamo Law Firm. “Working with George and his staff was a pleasure. The staff was very professional and treated us with courtesy. The attention to detail and timely responses were greatly appreciated. I highly recommend George and the Firm.” -Sedgewick F.
Hamo Law Firm has received dozens of reviews on five verified sites with an average rating of 5.00 stars, earning them a phenomenal Rating Score™ of 98.00 and a 2019 Top Rated Local award for ranking among the top 10 Attorneys & Law Firms in all of Michigan! We wanted to learn a little more about this award-winning business and its impressive online reputation, so we took a few minutes to talk with partners, George and Alex Hamo, of Hamo Law Firm. The first thing we wanted to know was what sets Hamo Law Firm apart from their competition in Michigan. Both gentlemen pointed to their perfect size and their ability to invest more in the client. When a client comes in, they will work closely with the same staff over and over. The two shared that they are honest and transparent with clients in an effort to build trust. George and Alex credit Hamo Law Firm’s strong online reputation to their commitment to being very honest, transparent and, most importantly, supportive to their clients. 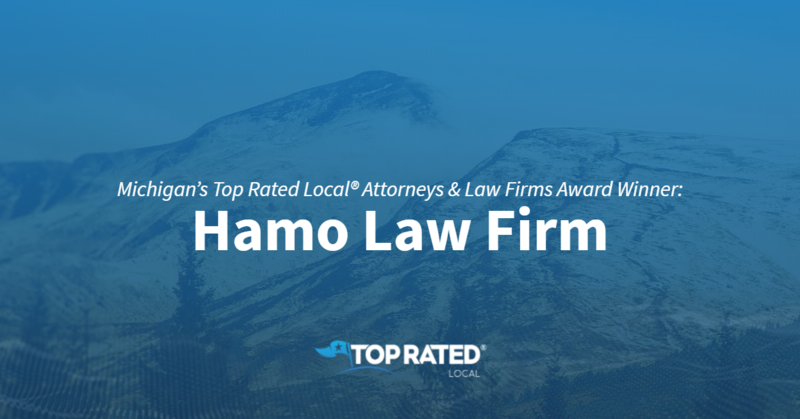 Congratulations to the team at Hamo Law Firm for being a 2019 Top Rated Local award winner, and thank you so much, George and Alex, for taking the time to speak with us! Visit their website here! Top Rated Local® is pleased to announce that Lenahan Law Firm is an award winner for attorneys & law firms in 2019. If you are looking for a law firm who will focus on you and your needs, look no further than this award-winning company! 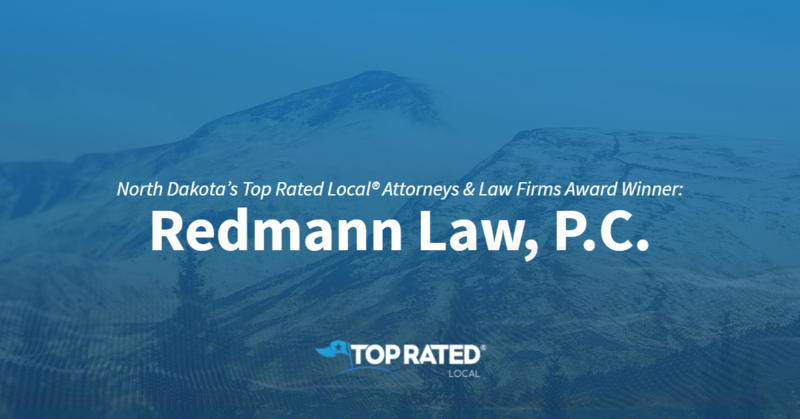 Lenahan Law Firm has received many overwhelmingly positive reviews which have helped them to gain an average rating of 5 stars, earning them an impressive Rating Score™ of 92 and a 2019 Top Rated Local award for ranking in the top ten law firms in Noth Dakota! 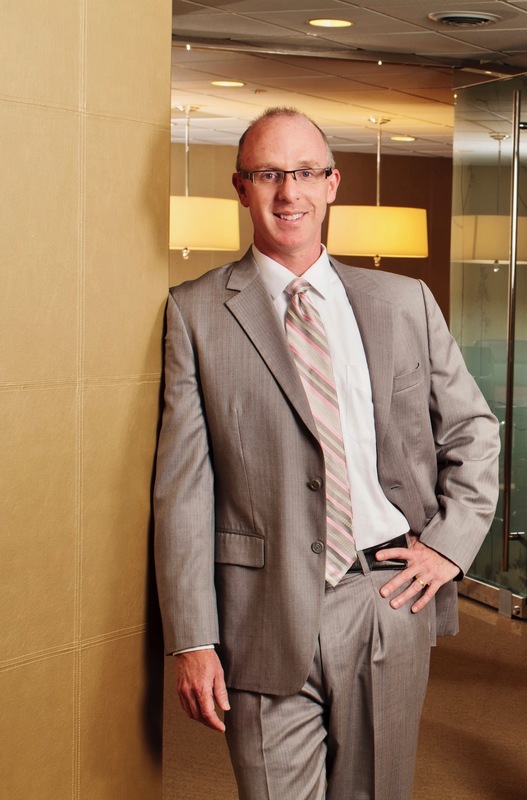 In order to get a better understanding of how Lenahan Law Firm stands out from the crowd, we sat down with managing partner and owner, Marc Lenahan. 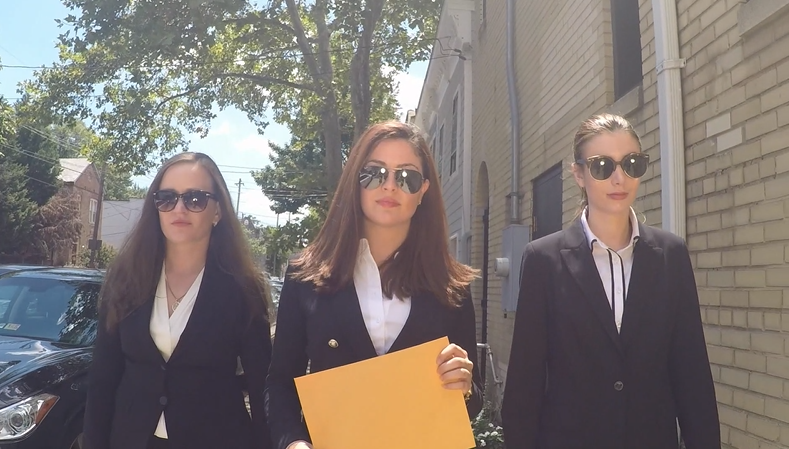 We learned that Lenahan Law Firm is picky about the cases it chooses, and keeps the ratio of 5 cases to 6 lawyers. This allows each client to receive the attention and care that Lenahan Law Firm believes they deserve. Congratulations to Lenahan Law Firm for being a 2019 Top Rated Local award winner, and special thanks to Mike for taking the time to speak with us! Top Rated Local® is pleased to announce that Dorsch Law Firm is a two-time 2019 award winner in Kansas! Whether you’re looking for a law firm that can help you with asset protection or small business law, look no further than Dorsch Law Firm in Overland Park. Dorsch Law Firm has received dozens of reviews on five verified sites with an average rating of 5.00 stars, earning them an impeccable Rating Score™ of 100.00 and two 2019 Top Rated Local awards — one for ranking among the top 10 businesses in all of Kansas and one for being ranked the number one law firm in Kansas! “I write precious few reviews. Dan assisted with my mother’s unsettled estate. I was so impressed that I returned to have him set up our trust. He is professional and thorough, accommodating and personable. He has a gift for turning an appointment with a lawyer into a visit with a friend, all while obtaining the information he needs. I would highly recommend his expertise in estate issues. The final product was a beautiful document, and he remains available without charge for questions that come up regarding the end of completing the trust process. Dan deserves more than five stars. I will miss working with him.” – B.B. We took a few minutes to talk with Daniel, owner and attorney at Dorsch Law Firm, to learn a little more about his business and how he managed to build the kind of online reputation that any business owner would envy. Outside of building a powerful online reputation, Daniel has grown Dorsch Law Firm through word-of-mouth referrals and social media. 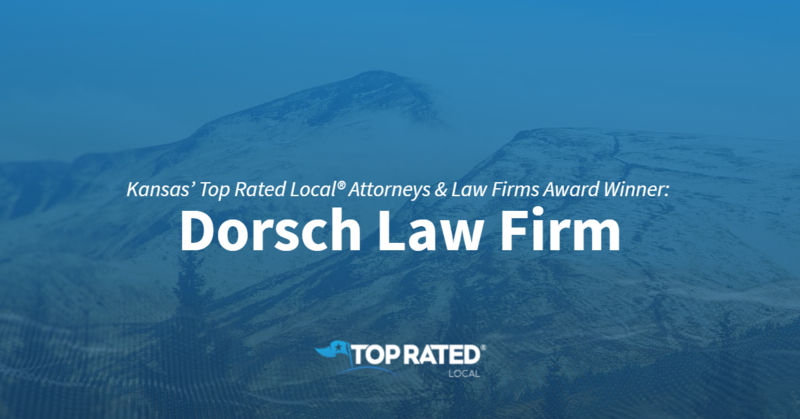 Congratulations to the team at Dorsch Law Firm for being a 2019 Top Rated Local award winner, and thank you so much, Daniel, for taking the time to speak with us! When you need legal guidance to protect your family, business or property in Overland Park, we highly recommend scheduling your free consultation with Dorsch Law Firm. Visit their website today! Virginia’s Top Rated Local® Attorneys & Law Firms Award Winner: Haven Law Group, P.C. 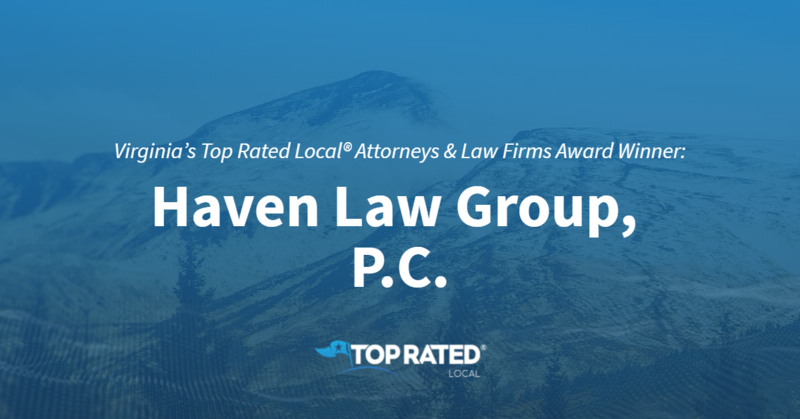 Top Rated Local® is pleased to announce that Haven Law Group, P.C. is a 2019 award winner for attorneys and law firms in Virginia! With more than 20 years of combined experienced, Haven Law Group, P.C. is the law firm to turn to when you’re facing bankruptcy in Hampton. Haven Law Group, P.C. has received dozens of reviews on four verified sites with an average rating of 4.83 stars, earning them a phenomenal Rating Score™ of 96.25 and a 2019 Top Rated Local award for ranking among the top 10 attorneys and law firms in Virginia! “Mr. Havener and team are very knowledgeable and helped us through our bankruptcy process. He was very patient working with us through our many amendment needs during our payment period. 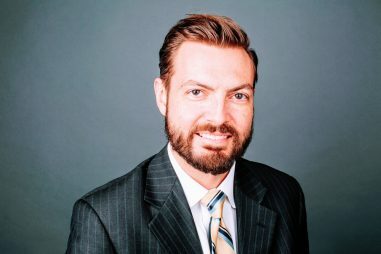 [I] highly recommend [them] for any bankruptcy needs.” – J.C.
To learn a little more about Haven Law Group and how they managed to build such an impressive online reputation, we took a few minutes to talk with the owner, Charles Havener. Congratulations to the team at Haven Law Group, P.C. for being a 2019 Top Rated Local award winner, and thank you so much, Charles, for taking the time to speak with us! If you’re looking for a law firm that can help you with a wide array of bankruptcy services, we highly recommend scheduling your free consultation with Haven Law Group, P.C. Visit their website today! Top Rated Local® is pleased to announce Dezenberg & Smith, Attorneys At Law is a 2019 award winner for attorneys and law firms in Alabama! If you’re considering bankruptcy, turn to an experienced, knowledgeable law firm by turning to Dezenberg & Smith, Attorneys At Law. Dezenberg & Smith, Attorneys At Law has received hundreds of reviews on three verified sites with an average rating of 5.00 stars, earning them an incredible Rating Score of 96.00 and a 2019 Top Rated Local award for ranking among the top 10 attorneys and law firms in all of Alabama! “[I] highly recommend Dezenberg & Smith. Mr. Smith was very knowledgeable about the laws and what course would be the best for us. Thank you for helping us and putting our minds at ease.” – H.H. We took a few minutes to talk with Brandon Smith, partner at Dezenberg & Smith, to learn a little more about the business and how they managed to build such an impressive online reputation. Outside of building a powerful online reputation, Dezenberg & Smith, Attorneys At Law has grown through billboards around Huntsville, Google ads, SEO, ads on AVVO.com, Facebook and word of mouth. Brandon told us that John Dezenberg, another partner at Dezenberg & Smith, does a local news program, called Law Line, which features different attorneys, to answer questions about debt and bankruptcy. Last but not least, a lot of other attorneys who don’t specialize in bankruptcy send clients their way. 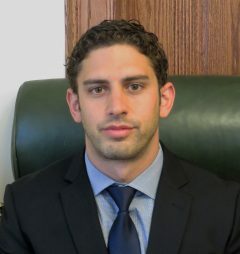 Congratulations to the team at Dezenberg & Smith, Attorneys At Law for being a 2019 Top Rated Local award winner, and thank you so much, Brandon, for taking the time to speak with us! If you’re facing bankruptcy, we highly recommend scheduling a free consultation with Dezenberg & Smith, Attorneys At Law. Visit their website today! Top Rated Local® is pleased to announce that Hickman Law Office is a 2019 award winner for attorneys and law firms in Virginia! Whether you’ve been injured in a car accident or you’re facing a criminal charge, Hickman Law Office in Alexandria is the law firm to turn to. Hickman Law Office has received dozens of reviews on three verified sites with an average rating of 5.00 stars, earning them a spectacular Rating Score™ of 97.00 and a 2019 Top Rated Local award for ranking among the top 10 attorneys and law firms in all of Virginia! “I reached out to Ms. Hickman to help me with my reckless driving ticket. Ms. Hickman was able to get my ticket reduced to improper driving. I could not be more grateful for Ms. Hickman’s help with my case. She was incredibly helpful, caring and knowledgeable. I will without a doubt consider her my first choice in future legal issues I may face.” – B.K. Outside of growing a powerful online reputation, Hickman Law Office has grown largely through word of mouth, which is a testament to their clients’ satisfaction with their services. We highly recommend Hickman Law Office. Visit their website today! 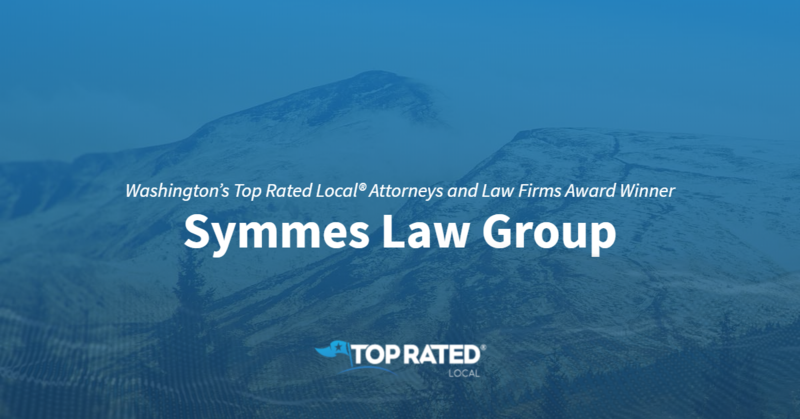 Top Rated Local® is pleased to announce that Symmes Law Group is a 2018 award winner for law firms and attorneys in Washington! Whether you’re facing a foreclosure, collections or bankruptcy, Symmes Law Group in Seattle has the experience to help. Symmes Law Group has earned dozens of online reviews with an average rating of 4.92 stars, a wonderful Rating Score™ of 97.21 and a 2018 Top Rated Local award for being ranked among the top 10 attorneys and law firms in all of Washington! According to Richard Symmes, the owner of Symmes Law Group, the biggest difference between Symmes Law Group and other law firms in Seattle is the personal service they provide. Richard makes it a point to always be available to his clients via phone or email. Another thing that sets Symmes Law Group apart is their many years of experience. Symmes Law Group has a track record of success, and Richard has been providing quality work since 2010. Richard credits Symmes Law Group’s strong online reputation to the good work they provide for their clients. That good work often leads to referrals and reviews. However, Richard isn’t shy about reaching out to his clients and letting them know where they can leave a review. Outside of building a powerful online reputation, Richard has increased Symmes Law Group’s online visibility with frequent blogging — with new blogs being posted a couple of times per month — and by putting information out there for people to see. Congratulations to the team at Symmes Law Group for being a 2018 Top Rated Local award winner, and thank you so much, Richard, for taking the time to speak with us. If you’re in need of a bankruptcy lawyer in Seattle, we highly recommend working with Symmes Law Group. Visit their website today!